Eyesight is a wonderful gift to be treasured. Most of us truly understand this once our aging eyes start to give us a little trouble. Slowly, over the course of a few years, images start to get blurry. We can’t read fine print anymore and we can’t see things that are far away. We may also start to notice other changes too. Our eyes don’t adjust as well to both darkness and bright light. Images in our peripheral vision are more blurry than they used to be. And those little annoying black dots that used to appear in our vision on rare occasions can start to float about in our eyesight in seemingly alarming numbers. Don’t worry—all these changes are normal. But you’ll want to slow down this process as much as possible. Keeping your eyes healthy could prevent your chances of suffering from far more serious eye problems like macular degeneration, cataracts, glaucoma and night blindness, while at the same time preserving sharp vision into your senior years. Because eyes need a tremendous amount of nutrients to do their complex job of creating sight—by some estimates, as much as 25% of your nutrient intake goes to helping your eyes function—one of the best ways to protect and nurture them is to eat the right foods. Here are four summer foods that can keep your vision sharp and focused. Blueberries, strawberries, cherries, and blackberries are all good for boosting the health of your eyes. Berries contain excellent amounts of antioxidants called flavonoids which protect against free radical damage. “Blue” (think purple) berries are especially good for improving your night-time visual acuity, your ability to rapidly adjust to darkness, and to recover after being exposed to bright lights or glare. Yes, you should eat carrots. And butternut squash, pumpkin, sweet potatoes, and orange and red peppers. All of these veggies contain pigments called carotenoids. Carotenoids act like antioxidants. They also have a unique ability to get converted to essential vitamins. This is true of beta-carotene, beta-cyptoxanthin, lutein, and zeaxanthin. Beta-carotene, in particular, is known as a pro-vitamin A carotenoid because it is converted into vitamin A when digested. This vitamin is key for healthy vision and eye function. Dark green leafy vegetables that grow in your garden all summer long are a real boon for you and your eyesight. Veggies like kale, collard greens, dandelion, broccoli, and parsley contain high amounts of lutein and zeaxanthin. These two carotenoids are related to vitamin A and can help to protect your eyes against sun-related damage caused by UV rays. Lutein and zeaxanthin could also play a significant role in protecting against the onset of cataracts and macular degeneration. Take note that your body needs some fat in order to properly absorb lutein and zeaxanthin. Choose a healthy fat such as olive oil. Summer is the time to grill some salmon on the barbeque. Salmon is full of omega-3 fatty acids which can help to stave off “dry eyes”—a condition where the tear ducts don’t produce enough fluid to keep the eyes moist. Dry eyes usually affect women more often than men, and particularly those who are post-menopausal. What you eat can affect how you feel and even what you see. Start eating these five foods to get the best vision health. Formichelli, L., “5 Top Foods for Eye Health,” Academy of Nutrition and Dietetics web site; www.eatright.org, last accessed June 24, 2013. Cohen, S.Y., et al., “Impact of eating habits on macular pathology assessed by macular pigment optical density measure,” J Fr Ophtalmol. April 2010; 33(4): 234-40. 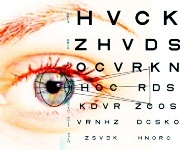 “What are Carotenoids,” WiseGeek web site; www.wisegeek.com, last accessed June 24, 2013.